All Public Open House Nights are held RAIN, SHINE, or STARLIGHT at our observatory in New Berlin. Here is our tentative schedule for the Public Observing Nights in 2019. 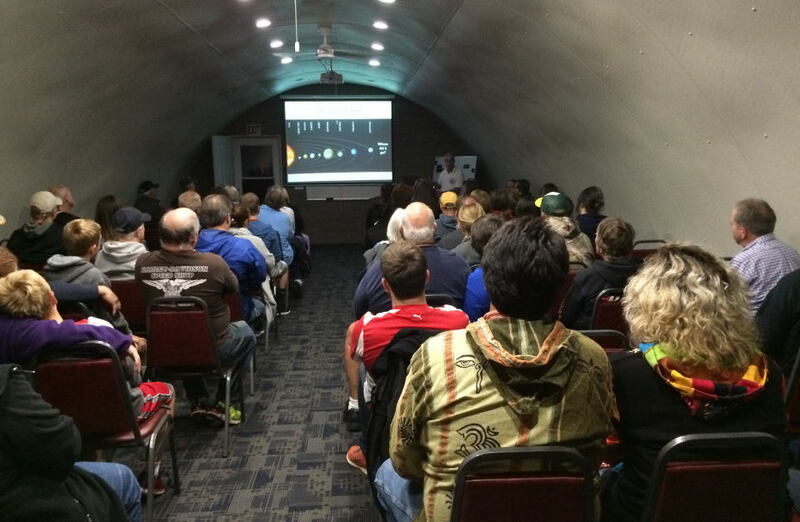 Regardless of weather, we always have a presentation by one of members in the Quonset Hut meeting room. The presentation begins at our starting time and ends when it's dark enough for viewing, weather permitting. The observatory is located at 18850 W Observatory Rd in New Berlin. It is on the north side of the road, 1.1 miles west of Calhoun Rd and .7 miles east of Racine Ave at the top of the hill. Usually we have a sign out at the entrance. For complete directions, click here. Weather is always a factor. The months of April, September, and October can be cold, especially at night. Either dress warm or prepare by having coats, hats, and even gloves. Expect mosquitoes in June and August. Viewing through the telescopes is also a weather dependent, but we are open nonetheless. You may still come out and tour the observatory, get information, ask questions, and listen to the featured programs for the night. If you'd like to be notified via email of future Open House Nights and other MAS special events we put on for the public, you may sign up here. Please keep in mind that you may unsubscribe at any time!